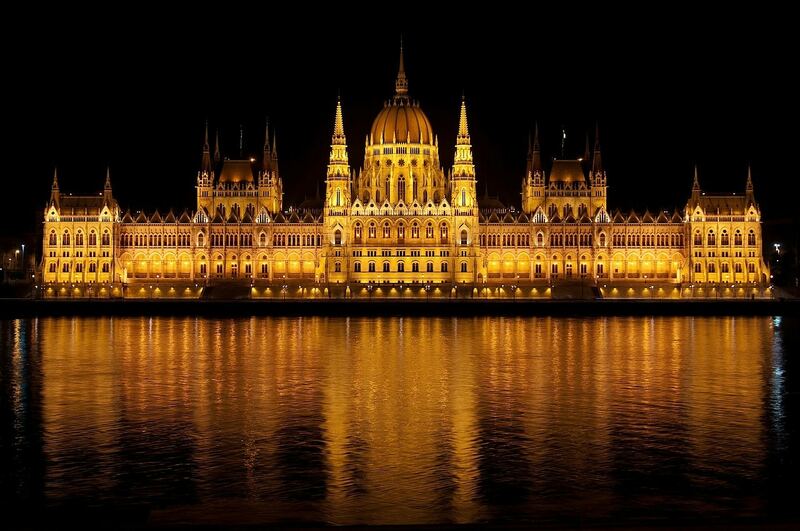 The Budapest Parliament, located in Pest along the Danube, is one of the iconic monuments of the Hungarian capital! 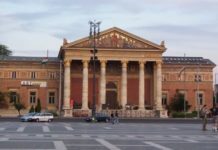 The building was inaugurated at the beginning of the 20th century after 17 years of construction under the aegis of the Hungarian architect, Imre Steindl. The Budapest Parliament, organized around a central dome, is as impressive from the inside as it is from the outside. 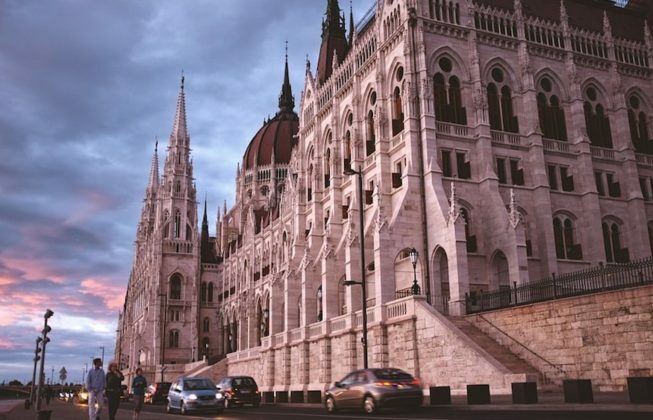 With 18,000 m2, it is one of the largest parliaments in the world, and its Neo-Gothic symmetrical façade is inspired by London’s Parliament, the Palace of Westminster. At 268m and 123m wide, the Hungarian Parliament is composed of nearly 700 rooms, 10 courtyards, 29 staircases and about 250 sculptures. Its dome, which rises to 96m, makes it one of the tallest buildings in Budapest. 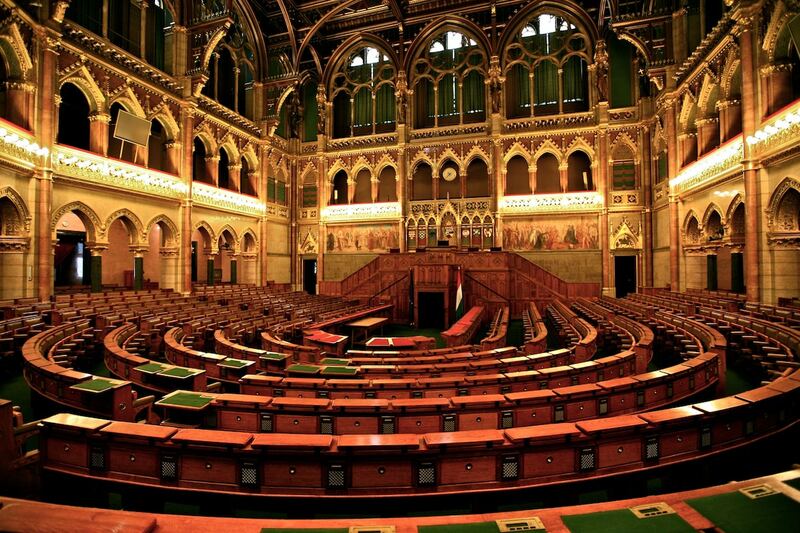 Since its inauguration in 1902, the Parliament is the seat of the National Assembly of Hungary. This assembly is composed of 199 representatives, who are elected for four years. 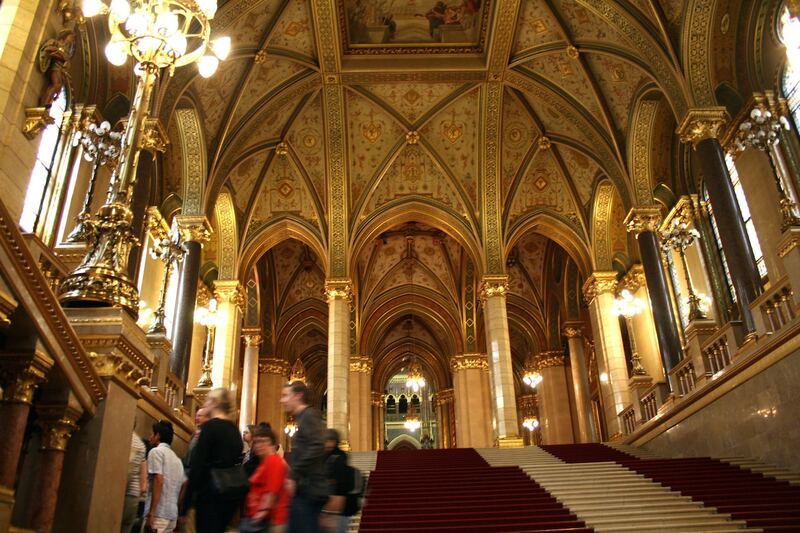 The guided tour of the Parliament of Budapest enables you to discover its beautiful interior. The main staircase and imposing frescoes of Károly Lotz, the large room of the dome, the living room of the former Chamber of Deputies and the meeting room of the Upper House. 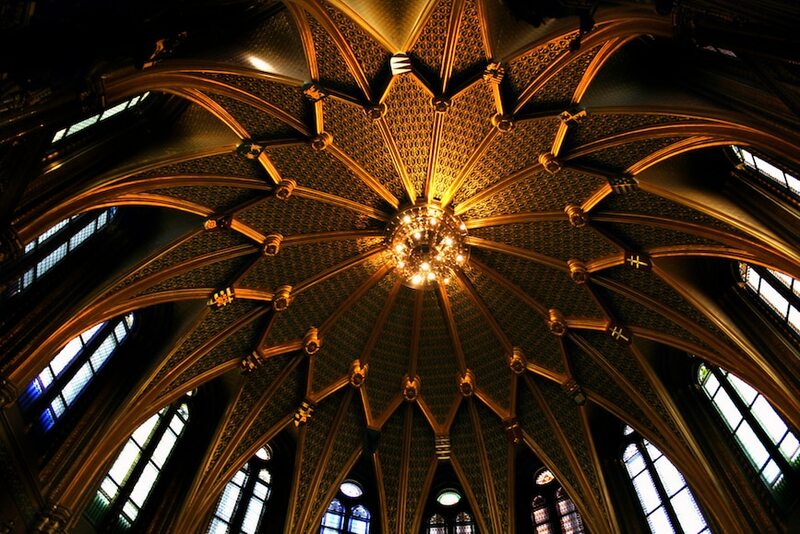 In the central hexadecagonal hall, you will find the crown of Saint Stephen referring to Stephen, the 1st king of Hungary. This royal crown is permanently protected by two guards. Main staircase – Budapest Parliament. 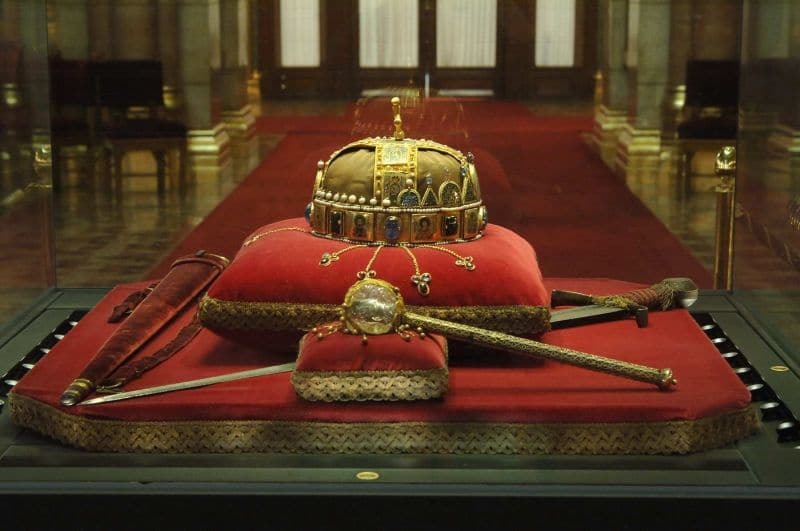 Budapest Parliament – the Crown of Saint Stephen. National Assembly of Hungary – Budapest Parliament. In front of the Hungarian Parliament is the equestrian statue of Francis II Rákóczi, Prince of Hungary (1704-1711), famous for his war of independence and opposition to the Habsburgs. On the side of the Hungarian parliament is also the statue of the poet, Attila József (1905-1937), an iconic poet of the revolt against the dictatorial regime of Admiral Miklós Horthy before the Second World War. 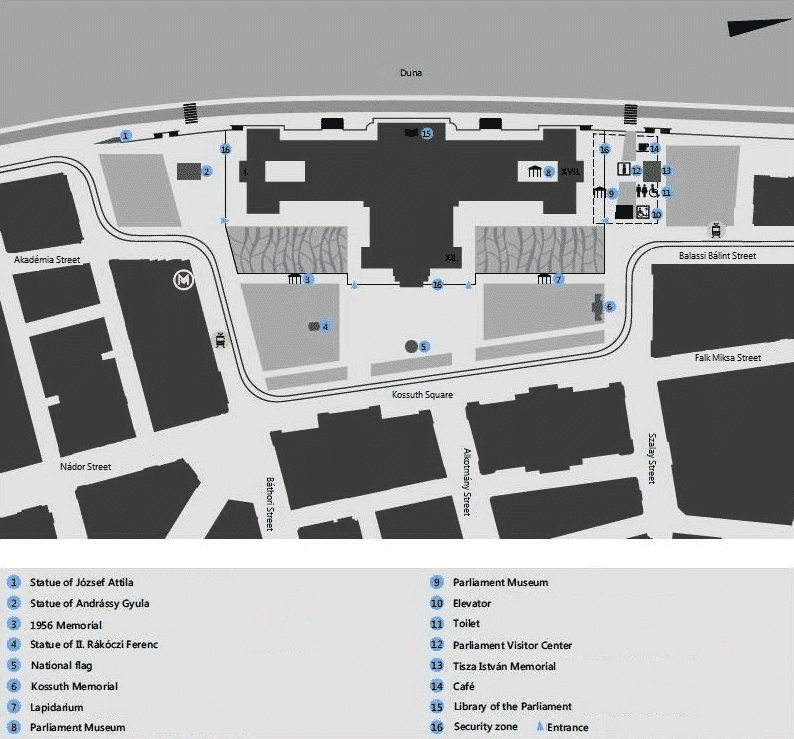 Address: Kossuth Lajos ter 1-3, 5th district, Pest – map. Station ‘Kossuth Lajos tér’ on metro line 2 and tram lines 2 and 2A. Open time: April 1st to October 31st: every day from 08:00 to 18:00 from November 1st to March 31st: every day from 08:00 to 16:00. 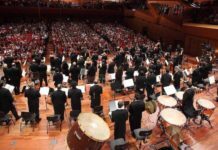 The building is closed during plenary sessions and public holidays (January 1st, March 5th, the Sunday and Monday of Easter, May 1st, August 20th, October 23rd, November 1st and the 24th of 26th of December). 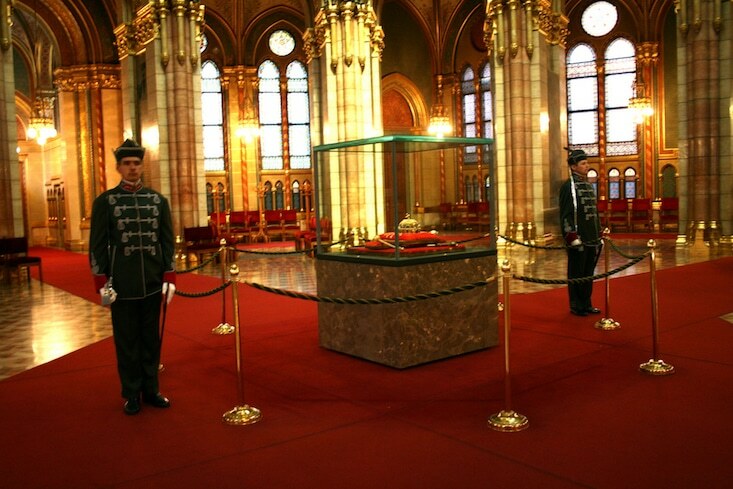 The Hungarian Parliament can only be visited with guided tours which last about 45 minutes. 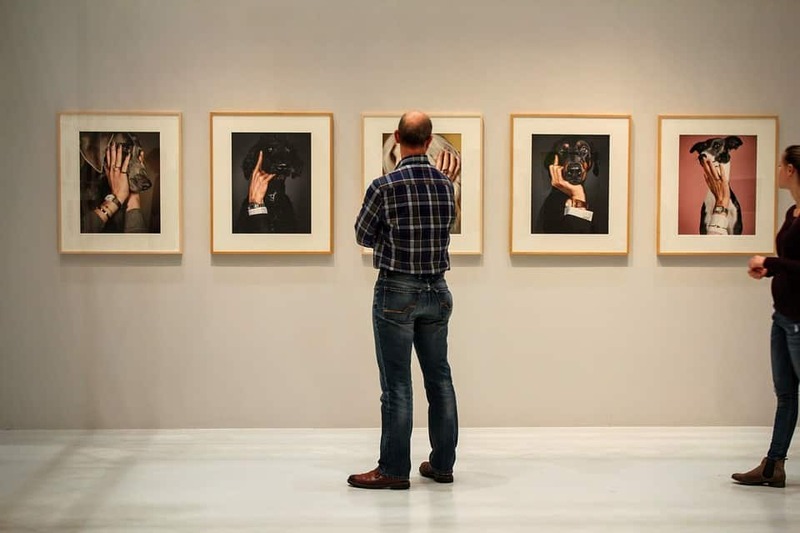 Guided tours in English take place at: 10.00, 12.00, 12.30, 13.30, 14.30, 15.30. Visits also take place with guides in other languages ​​(French, German, Italian, Spanish, etc…). 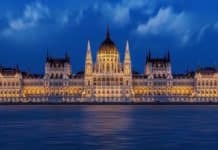 Language schedule can be found on the website of the Parliament of Budapest via this official link. We strongly recommend booking and buying your entry ticket in advance. Official link: agency ‘jegymester’, official provider of the Parliament. The price of the official visit for a European citizen is 2400 Ft (≈8 €) and for children and students about 4 € (student card required). 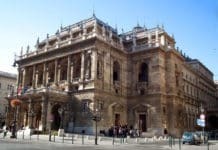 a guided tour of the main sights of Budapest (with bus transfer) and of the Parliament each morning from 9:30 to 13:00 (pick up at your hotel). 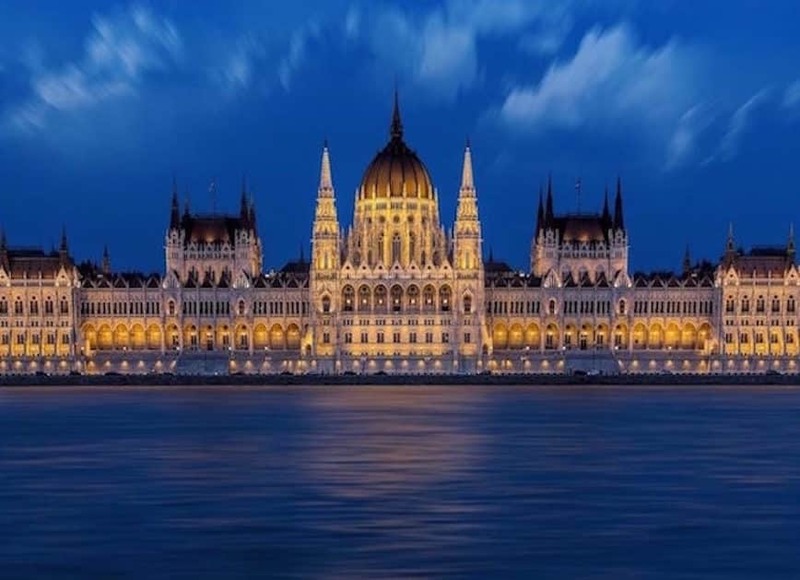 You can also admire the Hungarian Parliament from the Danube via Budapest cruises on the Danube, day and night (duration 45mn-1h, from 9 euros). 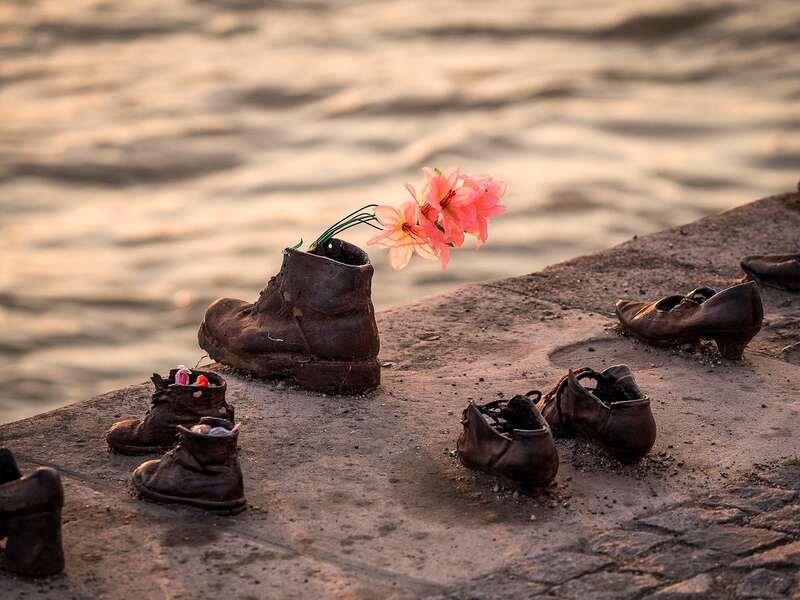 Do not miss: on the left of the Parliament (facing the Danube), go down to the riverbank for 200 meters to reach the poignant memorial, ‘Shoes on the banks of the Danube’, dedicated to the victims of the Shoah in Budapest. About forty meters of metal shoes represent the thousands of Jews who were shot before removing their shoes. 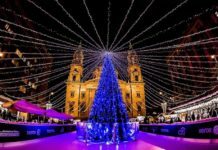 Also find the main monuments of Budapest recommended to visit in our article, ‘Budapest Must-see Sights’ as well as our recommendations to ‘visit Budapest in 2 days, 3 days and 4 days‘.